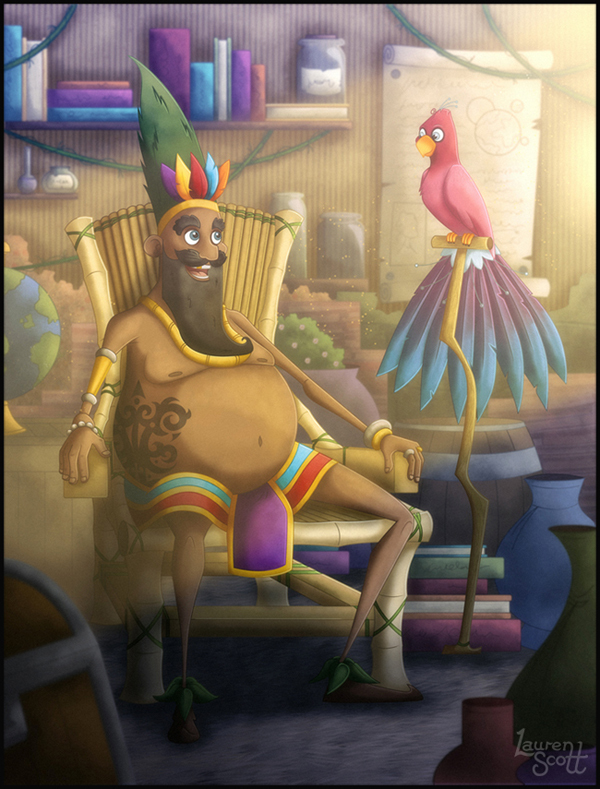 This illustration was done as part of a personal portfolio project; a Polynesian re-imaging of ‘The Sword in the Stone’, showing Merlin and Archimedes together with their final designs. I’ve done a lot of development work with these two and I’m glad they seem to be working together. I’d like to think I’ve finally got these guys down now!